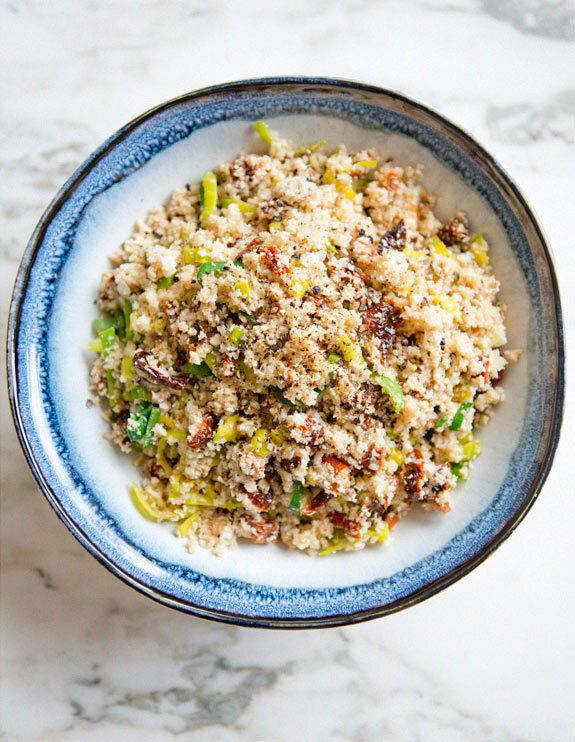 what if i told you that you could eat something that was so similar to cous cous that you wouldn’t know the difference, but didn’t have any of the processed carbs AND had all the nutrition of cauliflower? are you saying you’d want to marry me? i don’t blame you, not one bit. recipe and more after the jump! Definitely trying this! And gorgeous photos, by the way. 🙂 Looks amazing! YUM! This sounds delicious. 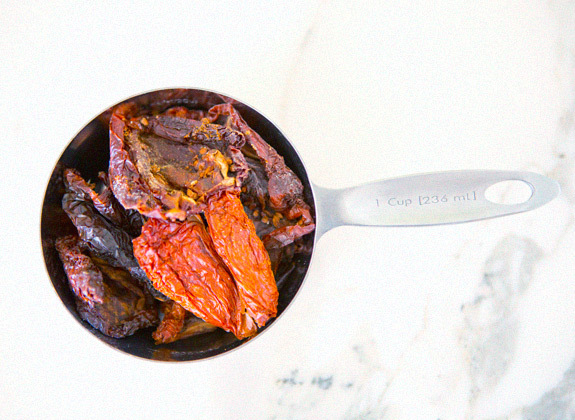 I love sun dried tomatoes! 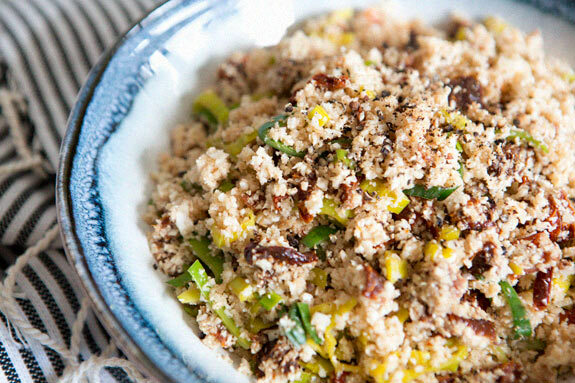 I'm definitely making this, I love cous cous and this is such a great healthier alternative! Ok, in the last week alone I've wanted to make three of your recipes….I wish you'd just put out a cookbook already……This one look super yummy and easy to make. I think I can get my kids to eat it, too! A big bonus! Can I just say, first of all, that I really look forward to your recipe posts! I eat very clean and am always looking for something new, and something my meat/carb-eating family will enjoy. Secondly, I am so into cauliflower lately! I've been eating it roasted (yes, straight out of the oven, standing at the range. don't judge.) a lot and will definitely try this recipe this weekend! Thank you! What I like even more — that it's gluten free! Thanks so much for sharing. 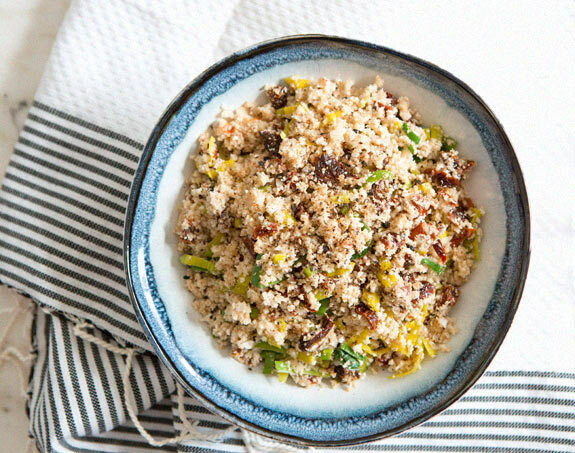 Even though I absolutely adore couscous and have a dislike for cauliflower I think I'm willing to give this recipe a try! I just had a cauliflower tofu scramble for lunch! This will be perfect for finishing up the head. Thanks! I jut had it and it was awesome! Thank you for sharing! i am more excited than i should admit that you posted this recipe! i love cous cous but avoid it as i don't like to indulge in too many grains, and this is a revolution! trying this weekend, thanks a million for sharing. xoxo, t.
Is this good served room temperature or cold? It sounds delicious and I'm wondering if it'sa good option for summer picnics or bar-b-ques. Thanks for the great blog and recipes! this was fantastic. my family enjoyed the dish so much. a big thank you from all of us! Just made this dish tonight and everybody loved it. My husband actually had 3 helpings. Excellent recipe and nice non carb side dish. I will definitely be making it again. This is a really beautiful idea! ps your blog is so lovely! Made this for dinner last night and we loved it! Added artichoke hearts and will try Kate’s idea of adding kalamata olives next time and maybe a little feta. YUMMY! Sounded interesting. Just made it. The taste of the cauliflower is very strong. I like ke cauliflower a lot but I didn’t like this dish – sorry. This looks great, but I’m not a fan of sun-dried tomatoes. Substitution ideas? Olives instead of sun-dried tomatoes? Have no idea if fits for you. Is the 4 heaping cups of cauliflower before or after you have you have made it to resemble couscous? This recipe looks very tempting and I am wondering if my sneaky grandson would even realize he is not eating what he thinks he is! This is an amazing dish! I used coconut oil instead of grape seed oil. I could eat this every day! This is an amazing recipe! !’ Easy, delicious , healthy, addictive. Have made this twice already, with bigger portions. Love it so much and how deceptively healthy it is! I had it once as is and made it last night with salt, pepper, Italian herbs and fresh garlic chicken breast cooked in olive oil… Adding a few more strips of sundried tomatoes straight from the jar on top! It’s the cherry on the cake if you’re not looking for something specifically vegan. Great dish! Hi! That looks so delicious. I am searching for the number of portions, though. I made this and was a bit disappointed to be honest. I make a sundried tomato and garlic brie cheese and I was hoping it would be like that. While it did remind me of it, there seemed like something was missing, or there was too much. Admittedly I think I put too much sundried tomato because I measured the cup after I diced it up and realized after that probably those were supposed to be measured whole. But at least how I made it, it’s okay, but it’s TOO flavourful on it’s own. I’ve been wracking my brain what I could add to it, or put it on that would dial back the strong flavours. All I keep coming up with is carb-heavy wheat products, (like I think it would be so delish wrapped in a phyllo pastry!) which totally defeats the purpose! Haha. I used marinated sundried tomatoes and the flavor was delish! I’m tempted to put parmesan cheese on top, but it’s pretty good as is. Very nice, thank you!